You'll get in some beach time at Capo Vaticano and Praia i Focu. Cattedrale di Gerace and Chiesa di San Nicola are good opportunities to explore the local culture. You'll find plenty of places to visit near Capo Vaticano: Cala di Rovaglioso (in Palmi) and Le Bombarde (in Gerace). 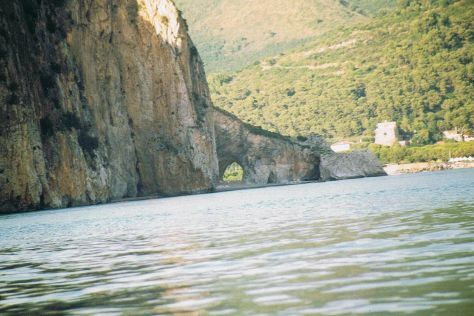 For more things to do, ratings, and tourist information, go to the Capo Vaticano road trip website . Sao Paulo, Brazil to Capo Vaticano is an approximately 22-hour flight. The time zone difference moving from Brasilia Time to Central European Time is 4 hours. 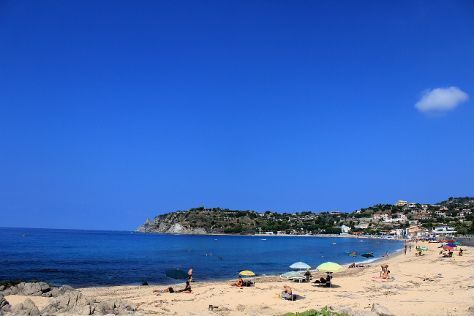 In May, daily temperatures in Capo Vaticano can reach 26°C, while at night they dip to 15°C. Cap off your sightseeing on the 24th (Fri) early enough to go by car to Maratea. Maratea is a town and comune of Basilicata, in the province of Potenza. Get some cultural insight at Certosa di Padula and Statua del Cristo Redentore di Maratea. You'll explore the less-touristy side of things at Cala Bianca Beach and Santuario Santa Maria delle Grazie. Venture out of the city with trips to Laino Borgo (River Rafting & Tubing & Complesso Monumentale Santuario delle Cappelle) and Palinuro (Grotte Marine di Capo Palinuro & Baia del Buon Dormire). Next up on the itinerary: stroll through Spiaggia D'i Vranne. For more things to do, maps, other places to visit, and more tourist information, go to the Maratea itinerary planner. Traveling by car from Capo Vaticano to Maratea takes 3.5 hours. Alternatively, you can take a train. Wrap up your sightseeing on the 28th (Tue) early enough to take a train to Paestum. Start off your visit on the 29th (Wed): delve into the distant past at Paestum Ruins, delve into the distant past at Il Tempio di Nettuno o Poseidone o di Hera II, explore the ancient world of Temple of Athena, then take in the architecture and atmosphere at Parrocchia Ss. Annunziata, and finally explore the ancient world of Museo Archeologico Nazionale di Paestum. Here are some ideas for day two: admire the masterpieces at Museo Vichiano, see some colorful creatures with a scuba or snorkeling tour, then step into the grandiose world of Borgo Medievale di Agropoli, and finally get to know the fascinating history of Le Mura. For other places to visit, maps, more things to do, and more tourist information, you can read our Paestum online road trip planner . You can take a train from Maratea to Paestum in 1.5 hours. Another option is to drive. In May, daily temperatures in Paestum can reach 26°C, while at night they dip to 21°C. Finish up your sightseeing early on the 30th (Thu) so you can travel to Praiano. Praiano is a town and comune of the province of Salerno in the Campania region of southwest Italy. 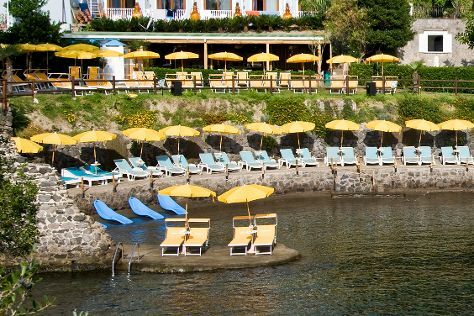 Get outdoors at Fornillo and Otium Spa Costa d'Amalfi. Appreciate the collections at Ceramiche d'Arte Carmela and Ceramiche D'Arte Pascal. 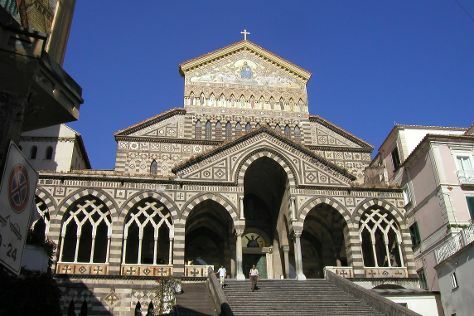 Get out of town with these interesting Praiano side-trips: Amalfi (Museo della Carta & Duomo di Sant'Andrea) and Ravello (Centro Storico Ravello, Duomo di Ravello, & more). There's more to do: take in the pleasant sights at Sentiero degli dei (Path of the Gods) and stroll through Lido di Ravello. For photos, traveler tips, ratings, and other tourist information, go to the Praiano planner . Getting from Paestum to Praiano by combination of train and taxi takes about 1.5 hours. Other options: drive; or do a combination of train and bus. Expect slightly colder evenings in Praiano when traveling from Paestum in May, with lows around 18°C. Finish up your sightseeing early on the 3rd (Mon) so you can catch the ferry to Capri. Get a sense of the local culture at Chiesa San Michele and Villa San Michele. You'll discover tucked-away gems like Walking tours and Fortini Coastal Walk. And it doesn't end there: tour the water at your own pace with Capri Whales di Wendy, catch all the local highlights with Capri Blue Boats, take in nature's colorful creations at Giardini di Augusto, and stop by Ceramiche Tavassi. To see maps, traveler tips, and tourist information, you can read our Capri vacation tool . You can ride a ferry from Praiano to Capri in an hour. Alternatively, you can do a combination of taxi and ferry; or do a combination of bus and ferry. June in Capri sees daily highs of 32°C and lows of 23°C at night. Wrap up your sightseeing on the 7th (Fri) to allow time to travel to Forio. Start off your visit on the 8th (Sat): pause for some serene contemplation at Chiesa del Soccorso, steep yourself in history at Sant'Angelo (Serrara Fontana), and then enjoy the sand and surf at Gardenia Mare. Get ready for a full day of sightseeing on the 9th (Sun): hike along Sentiero Baia della Pelara, then stroll through Sentiero Serrara Fontana a Sant’Angelo, then stop by Atelier delle Dolcezze, and finally enjoy the sand and surf at Bagno Franco. To find maps, other places to visit, photos, and other tourist information, refer to the Forio online driving holiday planner . You can do a combination of ferry and taxi from Capri to Forio in an hour. Expect a daytime high around 32°C in June, and nighttime lows around 23°C. Finish your sightseeing early on the 9th (Sun) so you can travel to Naples. Naples is the capital of the Italian region Campania and the third-largest municipality in Italy after Rome and Milan. Do your shopping at Sol’Art Ceramiche and Magazzini Fotografici. Get some cultural insight at Ruins of Herculaneum and Underground Naples. You'll find plenty of places to visit near Naples: Vietri sul Mare (Ceramica D'Urso Vietri, Museo provinciale della Ceramica, & more). There's still lots to do: see the interesting displays at National Archaeological Museum of Naples, delve into the distant past at Gli Scavi Archeologici di Pompei, explore the world behind art at Museo Cappella Sansevero, and steep yourself in history at Chiesa dei Santi Filippo e Giacomo - Complesso Museale dell'Arte della Seta. To see other places to visit, traveler tips, photos, and tourist information, you can read our Naples day trip planning app . Traveling by combination of taxi and ferry from Forio to Naples takes 1.5 hours. Alternatively, you can do a combination of bus and ferry; or ride a ferry. In June, daytime highs in Naples are 32°C, while nighttime lows are 22°C. You'll have a few hours on the 14th (Fri) to wrap things up before traveling home.